DECATUR — Newton County Elementary teacher Leah Walker lives by one motto – "Provide an uncommon experience for your students and they will reward you with an uncommon effort and attitude." The veteran educator learned that lesson from "Teach Like a Pirate," a book by one of her favorite writers, Dave Burgess. Whether it’s crawling through a bat cave, building a train, or wearing a quirky costume, Walker will do just about anything to engage her third-grade students and keep their attention. 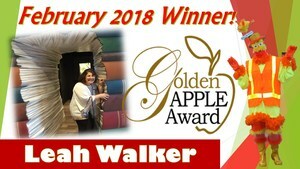 It’s that sort of creativity that helped Walker win the Golden Apple Award for February. Dressed up for Valentine’s Day in a red, black, and white striped outfit — complete with a pink scarf and hat and red tennis shoes — Walker was shocked when her name was called during a surprise ceremony at the school on Wednesday. "They told me we were going to have a Heart Awareness Program, so I wasn’t expecting this, but I feel so honored, humbled, and appreciative," Walker said. "I am so blessed to work with so many wonderful educators that I would put in this chair before me." 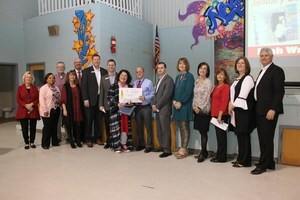 Jason Roberson, the school's principal, said he's had the pleasure to work with many talented educators, but Walker is among the top of that list – being truly dedicated to the success of each of her students. "She takes time to develop a meaningful relationship with each child by getting to know their likes and interests both inside and outside the classroom," Roberson said. 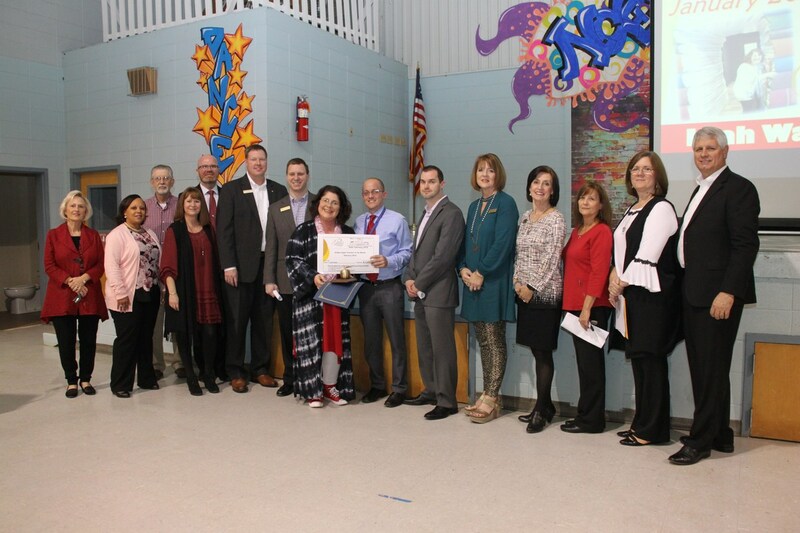 "She creates innovative lessons that immerse students in an interactive and exciting hands-on learning experience that grabs and holds their attention." One of her Walker's many qualities, Roberson said, is you never know what you will encounter when you enter her classroom. "I have walked into an operating room, courtroom, and even a bat cave when visiting her classroom," Roberson said. 'Mrs. Walker is continually challenging herself to improve her teaching methods and finds new ways to bring educational standards to life in her classroom. Walker also gets rave reviews from her young students. 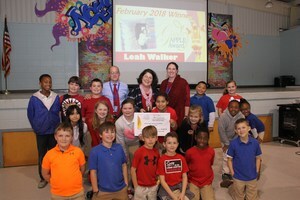 Third graders Ansley Sykes and Colby Baskin both agree she deserved the award. "I think she is so cool because she is a good teacher and very creative," Ansley said. "She worked very hard for this – she is a great teacher and I am glad she got it," Colby said. 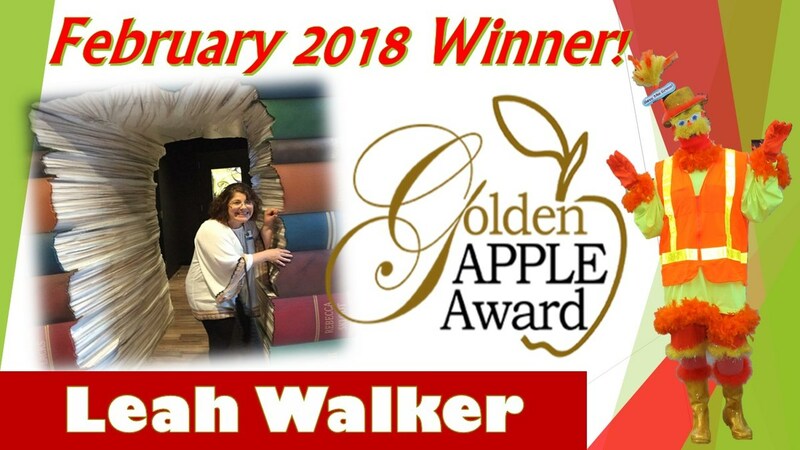 Walker, who has been teaching for 17 years, studied business in college, but changed her major to education at the urging of veteran Newton County educator Jeanette Thrash. 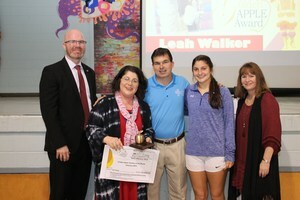 "Mrs. Thrash has always been a mentor in my life and knew teaching was where my heart was," Walker said. "She hired me, mentored me, and still does today if I need her." What inspires Walker to be so creative in the classroom? The desire to keep a child’s attention. "I knew when I started teaching I had to find a way to engage these kids because keeping their attention is 90 percent of the battle," Walker said. "Our standards are tuff now – more rigorous, so we look for ways to engage them and just keep their attention." Walker said one thing she wants her students to always remember – it’s okay to be who you are. "Don’t go out into the world and try to be something you are not," Walker said. " Be proud and be your own person. Be kind and leave the world better than you left it. We are learning the poem "The Road Not Taken" by Robert Frost, for that very purpose." Walker’s advice for a new teacher – make sure teaching is your passion. "Teaching is a calling, you just need to be ready, love it enough, and make sure it is greater than everything else," Walker said. "If not you will not be happy. Those kids and their lives are in your hands. I truly believe teaching is a mission field calling."